Harsha is the only Sri Lankan wedding photographer who won gold medals in two consecutive years in the world’s largest photographic competition – Trierenberg Super Circuit and won FIAP Medals and PSA Medals. 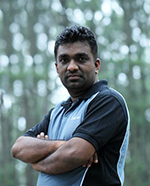 He started his photographic career in the year 2002 at the National Photographic Art Society of Sri Lanka. He became the batch top and the island first in his 3 years diploma. He has held an exhibition named Pixel Art 2010 at Herald Peiris Gallery. He is a lecturer and writer for Art and Digital photography. He has conducted 12 workshops in photography in one year. He is a Executive Director of The National Photographic Art Society of Sri Lanka and also President of Photographic Federation of Sri Lanka. Wedding Photographer of the Year 2012. Winner - Best Wedding Couple Photograph 2011. Best Wedding Portfolio - 2010. "Special Prize" - 74th International Photographic Salon - 2014 - Japan. 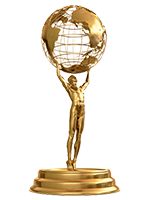 Golden Digital - Silver Medal – for Best Humor – 2012 - Denmark. PSA - Silver Medal – 2012 - Sri Lanka. PSA - Bronze Medal – 2012 - Sri Lanka. PSA - Bronze Medal – 2012 – Sri Lanka. Trierenberg Super Circuit - Gold Medal – 2010 – Austria. PCE Diploma – 2010 – Luxemburg. FIAP Bronze Medal – 2005 – Sri Lanka. Most Popular Photographer of the Year 2012. Many of our clients have referred us to their friends and family after visiting us. We would highly value your comments on FotoStation at one or more of our social media websites. If currently you are not one of our clients, we welcome you to read the reviews placed by our happy clients on our online profiles below. Afterwards, please make your appointment for a great experience, and see for yourself!